The Beauty Junkie - ranechin.com: Chic&Sleek Eco Canvas Tote Promotion for Plusizekitten Readers! 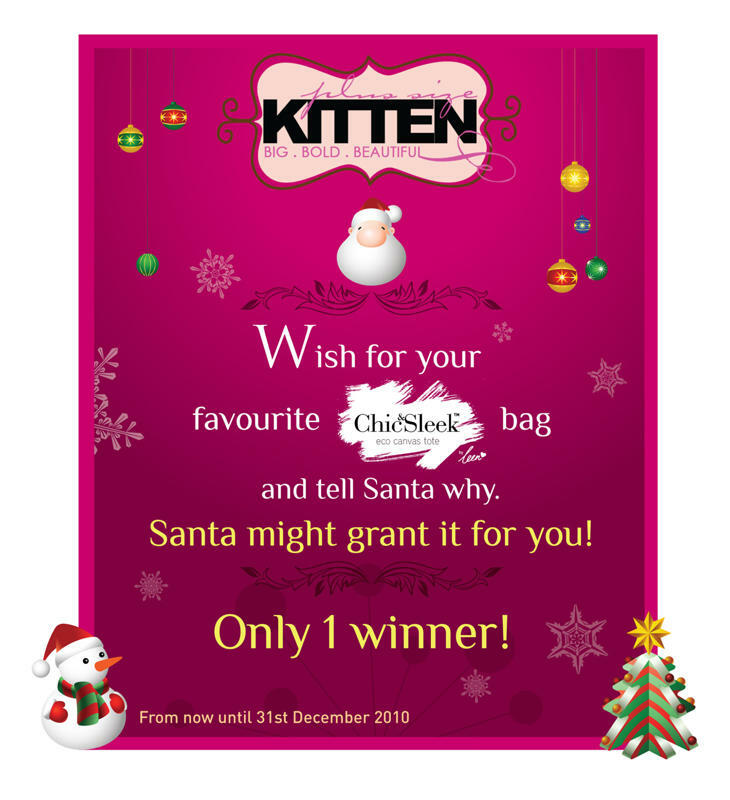 With the Christmas Cheers, maybe you can cheer a friend up with a Chic & Sleek bags! 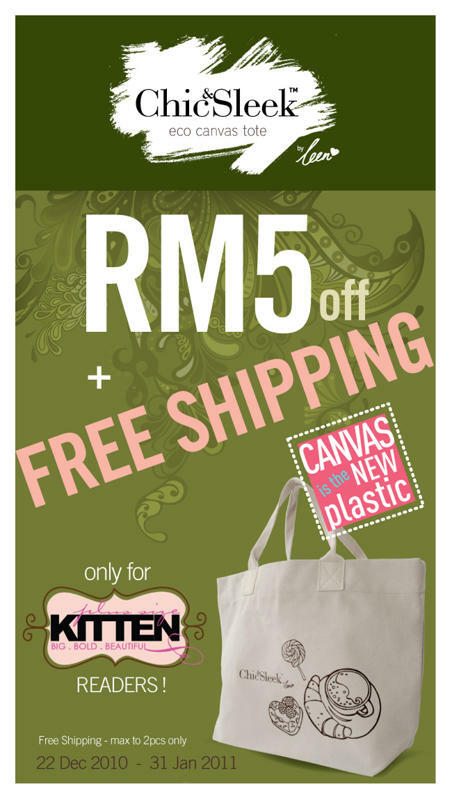 Chic & Sleek is offering to Plus Size Kitten's readers FREE SHIPPING IN KLANG VALLEY and RM5 off the price!